It seems strange that it isn’t even Winter yet and we are thinking about the make-up we will be wearing in the summer of next year, but you will understand what all the fuss is about once you have taken a sneak preview of Lancome’s new collaboration with make-up artist Aaron de May. After studying fine art in New Zealand Aaron found working on his art projects too solitary so decided to teach himself to be a make-up artist. With his highly refined skill set he has now become one of the worlds most well-known and well-respected make-up artists. Today he is designing and promoting his latest range for Lancome, O My Rose, which will launch in the UK on January the 15th 2010. The collection takes inspiration from Bridget Bardot in 1960s St Tropez and Meryl Streep in Out of Africa. The shades are not the typical summer palette we are used too but Aaron believes that as the seasons are beginning to merge it makes sense to have a slightly stronger palette that isn’t considered ‘summer’. 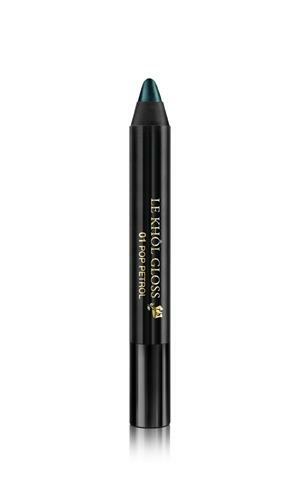 One of the stars of the collection has to be the glossy eye crayons. They come packaged in a crayon box, which was inspired by geishas in Japan. Whilst visiting Japan, Aaron was given a similar crayon that was brown in appearance but when dipped in water creates the perfect Geisha red lip colour.